Is there anyone out there who likes white chocolate better than regular chocolate? I’m waving my hand high in the air. Can you see me? Don’t get me wrong, I love chocolate. It’s just that I love white chocolate more. The Easter Bunny used to bring me white chocolate bunnies while my sisters received the milk chocolate counterpart. There’s just something about the smooth, creamy, sweet flavour of white chocolate that drives my tastebuds crazy! I picked up some white chocolate for baking the other week. I’ve been known to eat those delicious little squares like a candy bar on its own. This time around I saved them for a recipe I was planning to make – White Chocolate Pudding. If you are a white chocolate fan like me, you will want to save this recipe! It’s made on your stovetop in a saucepan in a matter of minutes. Once it thickens up, then it’s time to add in your white chocolate squares. It needs to cool down first in the fridge for at least an hour. Then, serve it with the toppings of your choice. I topped mine with sliced strawberries and whipped cream. Talk about decadent! It’s heaven on a spoon! Seriously. You might also like this Pineapple Rice Pudding. 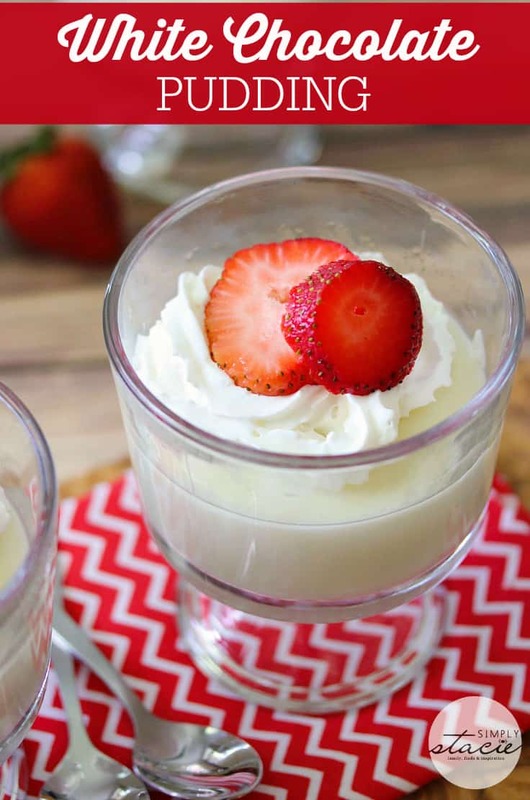 Would you top your white chocolate pudding with strawberries and whipped cream or something else? 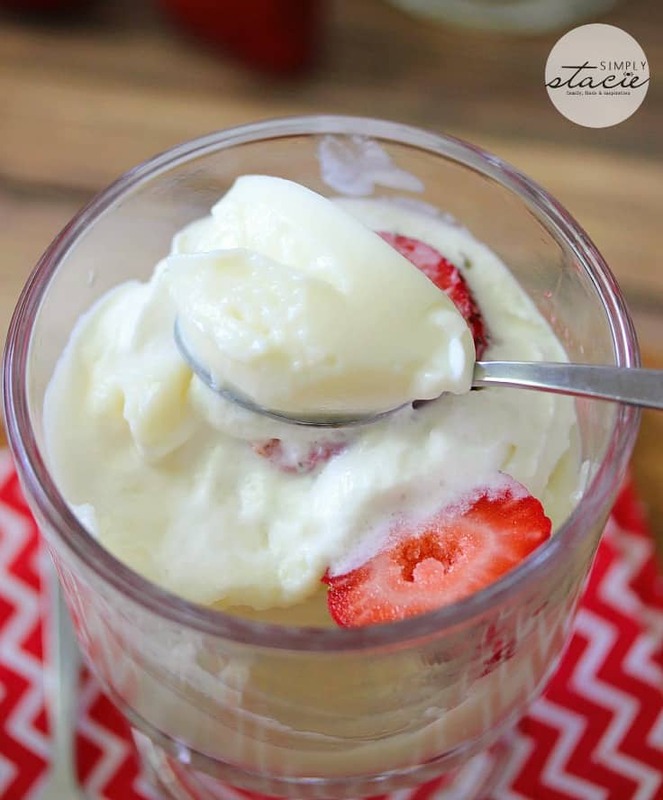 Enjoy the smooth, creamy and sweet flavour of this homemade White Chocolate Pudding. Make it extra special by topping with strawberries and whipped cream! Add sugar, cornstarch and salt to a medium saucepan and stir to blend. Whisk in milk and cream. Bring to a boil over medium heat, stirring constantly. Once it boils, reduce heat to low and continue to stir for an additional two minutes. It will be thick at this point. Remove from heat. Stir in white chocolate and vanilla. Spoon into dessert dishes. Cover in plastic wrap and place in the fridge for at least an hour. When ready to serve, remove plastic wrap and top with sliced strawberries and whipped cream. 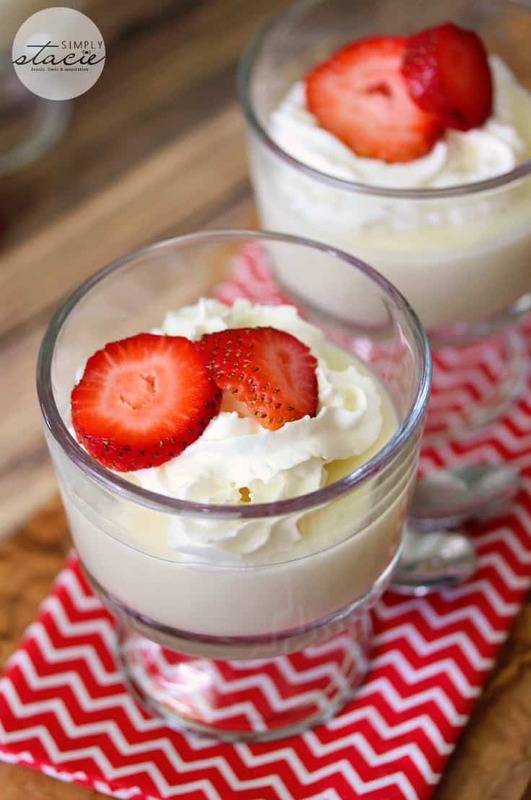 I’ve never done a white chocolate pudding…..sounds and looks incredible! 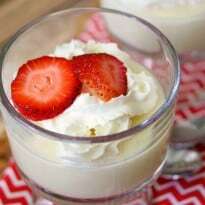 I grew up with my Mom making puddings, and this is one of the best recipes I have seen for White chocolate pudding. I will have to try it. It looks so delicious. I love all sorts of berries on chocolate pudding. Now I’ll have to test it out on white chocolate pudding! Pinning! I can’t wait to try this! My daughter would love this she likes white chocolate, it’s her favourite!! I love white chocolate and this recipe sounds easy to make and delicious! Visiting from the Two Cup Tuesday linkup. Come join the Share It Wednesday Link Party going on now at http://www.urbangirlbakes.com! This does look good! Sometimes regular chocolate pudding doesn’t go with all fruits, but I think this would work with all fruits. Pinned. I too am a white chocolate lover, even though it’s not technically chocolate, it doesn’t matter to me! Love what you’ve done with it! I can imagine drizzling it in some salted caramel something… yummmm or maybe with some tropical fruits! Gorgeous. White chocolate pudding sounds so much more decadent than just chocolate pudding. I love white chocolate, so I’m gonna have to try this! Yum! What a great chocolate pudding. Hope you are having a fantastic day and we are so excited that you shared your post with Full Plate Thursday. This pudding sounds very good. It is almost like a pudding my Dad used to make called Blanc Mange. Which is white pudding. I made some not long ago. 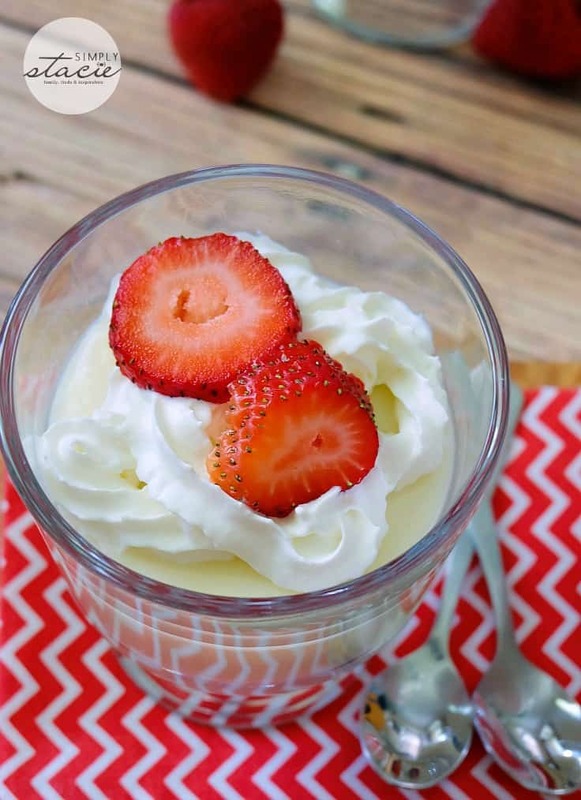 Your yum’licious white chocolate pudding made it in my pudding and strawberry roundup! Love this and look forward to making it. Can you tell me approximately how many cups this recipe makes? I need to make an order for 300 2 oz martini class type appetizers, so that info would be helpful. Thanks so much! I think it’s about 4 to 5 cups! That’s a great recipe. Should i melt the white chocolate before adding it the milk n cream mixture? No, it will melt when it goes in the hot milk mixture.